The Cross Brothers are Tasmanians Daniel and Patrick Cross. They grew up in the Hobart suburb of Lutana, which is home to the largest zinc smelter in the state. If you’re a student of strange Tasmanian underground music from the ’90s, you’ll probably be familiar with the Cross’s: Daniel played in 50 Million Clowns (with Sean Bailey of Lakes) and The Gentlemen (with Dave Elk aka Drunk Elk), among others, while Patrick played in Drunk Hands, Prosthetic Gland and Rentboy (also among others!). For those interested in the Tasmanian network of bands, this old map – now quite out date – charts it until the early 2000s. 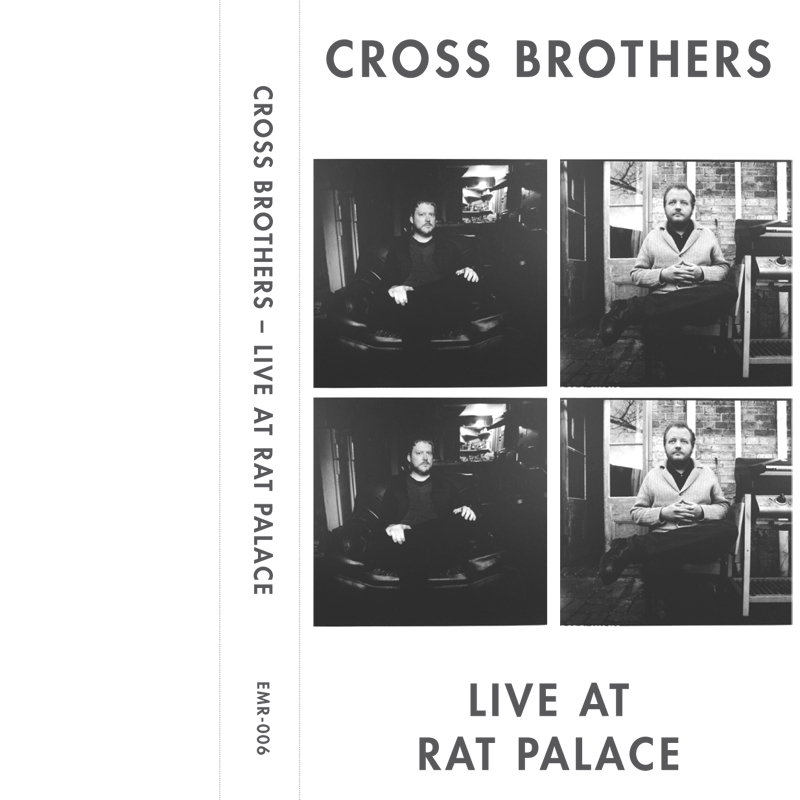 Live At Rat Palace consists of one, thirty-minute track comprising very noisy, Dead C-esque electric guitar improvisation. The Rat Palace is an artist run space in Hobart with the erroneous address of 71a Brisbane Street – apparently addressed because the church that used to own it didn’t want to use the 69a address (dunno why). Have a listen. It’s available now through Endless Melt.